During this run of five straight division titles, the Phillies have been lethal at Citizens Bank Park and dominant on the road. J-Roll’s bat came alive last night and the Phillies wrapped up the 5-2 road trip with a win that clinched the series vs. the Mets. Victory was the 12th in their last 17 road games. Their 16-12 road record is the best in the NL. Once again Cliff couldn’t pick up a win. He’s winless in eight starts this season. Phillies are just 3-5 in those starts. Following a day off on Thursday (Phillies are 6-0 on Thursdays), the Marlins (three) and Dodgers (four) come to Citizens Bank Park where the Phillies are only 11-13. That record is the poorest in the NL East. In another scheduling quirk, the Marlins are visiting Philly this weekend for the second time before the Phillies visit Miami for the first time. At the end of this month, the Phils will finally play in the Marlins’ new playpen. The final three games of the season will be there. Phillies dominated the NL East a year ago, 43-29. This year, they are only 8-12. With the signing of Papelbon, the Phillies do not have a first-round selection next Monday. However, they have two sandwich picks after that round, one for the loss of Ryan Madson (#40) and the other for losing Raul Ibanez (#54). In the second round that begins Tuesday’s portion, they get the 77th selection, again relating to Madson signing with the Reds, and #95. So, of the first 100 overall selections, the Phillies will have four. Last season, the teams went 50 rounds and the deadline for signing your selections was August 15. With the new basic agreement that went into effect this year, the draft will stop after 40 rounds and the deadline for signing has been moved up to July 5. **Lehigh Valley ended a 6-game losing streak by scoring 3 in the top of the 8th for a 6-3 win at Gwinnett. Domonic Brown, back in LF, was 3-5 with his 1st home run. **Reading defeated Binghamton, 5-3. CF Jiwan James hit his 4th home run. RHR Justin Friend recorded his 11th save. **Clearwater scored 4 in the top of the 8th for a 5-4 win at Tampa. RF Zach Collier, 3-4 with a double. C Cameron Rupp, 4th home run. RHP Brody Colvin (3-4), working out of the bullpen, picked up the win. **Lakewood lost its 4th in a row, 10-5, at West Virginia. 3B Maikel Franco (#5) and 1B Kelly Dugan (#4) homered. May 31, 1994: Phillies rally for 8-7 win in Wrigley Field, ending May with a 15-13 record despite losing three starting pitchers (Curt Schilling, Tommy Greene, Ben Rivera) and three regulars (John Kruk, Kevin Stocker and Dave Hollins) to the disabled list during the month. Visit www.phillies.com/alumni for more Phillies Phlashback notes and news, features and photos of the Alumni. Well, the news off the field took center stage over the news on the field yesterday. The Phillies lost Doc for 6-8 weeks and then lost the game to the Mets. As reported, the Doc news was good in that surgery isn’t needed. Hang in there, is the team’s slogan for now. If they can tread water for the next 6-8 weeks and then have Doc, Ryan and Chase back from the DL. That’s three pretty decent players for the pennant race down the stretch. In the meantime, opportunities will be there. See who can step up. While everyone was enjoying the Memorial Day holiday on Monday, Marty Wolever, Assistant GM, Amateur Scouting, gathered with his staff in the Draft Room, a large meeting room on the Hall of Fame Club Level at Citizens Bank Park, just around the corner from Ruben Amaro’s office. The process of sorting out candidates for next week’s draft is underway. Years ago, the large table in the middle of the room was filled with bulky, three-ring binders containing reams and reams of written scouting reports. Those days are long gone. Laptops dominate the table scene. Oh, also history are a battery of old-fashioned telephones. Cell phones, iPods and the like have taken over. The draft begins on Monday evening, June 4 and continues for two days. The first round and sandwich selections will be nationally televised by the MLB Network. Each club sends two representatives to the MLB Network studio for that round. This year the Phillies will be represented by Bill Giles and Pat Gillick. MLB.com will also cover the entire draft. **Lehigh Valley was held to three singles in losing their sixth straight, 4-0, at Gwinnett. **Clearwater dropped a 4-3, 10-inning decision to Tampa. RF Anthony Hewitt had a double and triple. **Lakewood lost, 7-3, at West Virginia, seven defeats in last eight games. May 30, 1935: LF Babe Ruth goes hitless (one at-bat) in his final game as the Boston Braves beat the Phillies, 11-6, in the second game of a Baker Bowl doubleheader. Attendance: 18,000. May 30, 1982: LHP Steve Carlton wins his 191st game with Phillies, 6-2, over Atlanta. Victory moves Lefty into second place on the Phillies’ all-time list ahead of Grover Alexander. Robin Roberts leads with 234. May 30, 1989: Veterans Stadium is empty except for a handful of media who were there for 3B Mike Schmidt’s retirement press conference. He had announced his retirement the day before in San Diego and returned home to meet the Philadelphia media. His last game was May 28 at San Francisco. Great photo of an emotional Schmidt at this press conference on www.phillies.com/alumni. Here we are. Memorial Day is out of the way as is the unofficial start of summer. Always felt Memorial Day was a good yardstick for the status of the Phillies. Just my view, not an official view. And, nobody ever asked for my opinion including GMs John Quinn, Paul Owens, Bill Giles, Lee Thomas, Ed Wade, Pat Gillick or Ruben Amaro. Their view is the view that counts. Anyway, how do the 2012 Phillies stack up as Memorial Day has come and gone? The strength of the team was supposed to be the starting pitching rotation. Doc went 3-0 through the first 10 games of the season and hasn’t won since. Now, today is a day for him to see the doctor about his ailing right shoulder. A lot of people have their fingers crossed. Cliff is winless since last September 26. Cole, the No. 3 starter, has vaulted into the No. 1 left-handed starter in the league. Vance is on the DL, Joe-B has been hot and cold and KK is coming off his first big league shutout after some shaky early starts. The bullpen has been inconsistent which can also be said of the offense. Yet, the offense is having a solid month. It just seems as if the offense can’t produce enough runs. Defensively, this team still excels. 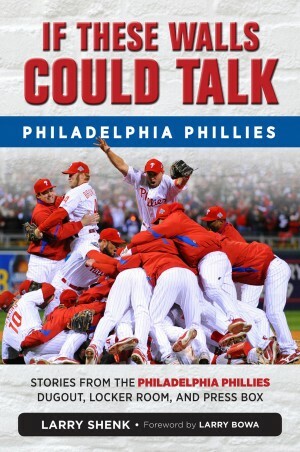 The Phillies have questions but so does every other team. Every team in the NL East has a winning record, unmatched in MLB. So, for all their troubles, the Phillies are just four games out of first place. Idea is to hang in there until the injured become healthy. Major League Baseball has expanded the wild-card berth from one to two teams per league. As it stacks up today, the two NL wild-cards would come from the NL East, meaning three teams from the division would be in the post season. Yes, it has been a troubling season. Yet, there is plenty of hope and a long way to go. **Lehigh Valley lost its fifth in a row, 9-8, allowing six runs in the bottom of the ninth at Gwinnett. RHS David Bush (4-3) had his 21 consecutive scoreless innings streak end when he was tagged with three runs (two earned) in the sixth inning. RHR Michael Schwimer (2-1) gave up the six-run ninth on four hits and a walk. **Reading was an 8-0 winner at Harrisburg with RHS David Buchanan (2-5) tossing a nine-inning shutout, his first in pro ball. Seven Phillies had two hits each, including C Sebastian Valle, a triple and his fifth home run. **Lakewood lost for the sixth time in their last seven games, 4-3, at West Virginia. CF Kyrell Hudson, 2-4, 20th stolen base. Check it out as there are three new features now on the alumni page and a vintage photo of Mike Schmidt’s emotional press conference. The Curt Simmons story is a very interesting one. He’s being honored in his hometown of Egypt, PA, this Saturday. If you are in the area, stop by for the events that begin with a 10 a.m. parade down Main Street. Going into last night’s series opener in St. Louis, the Cardinals led the league in hits, runs, home runs, average, on-base percentage and slugging percentage. All that with Pujols now in the other league and Berkman in the operating room. The Cardinals added to all those totals but in the end, the Phillies out-slugged and out-lasted them. The offensive explosion was a rarity this season. A year ago, the Phillies scored 10 or more runs 12 times, winning all 12. Last night was the second time this season. The first was 13 runs and that came in a losing cause, 15-13, 11 innings at Atlanta, May 2. For the second straight Saturday, the Phillies are on a prime time FOX national telecast, 7:15 p.m. EDT. Before that, Cliff (0-2, 2.66) goes for his first win this season tonight. Exactly one year ago Cliff (4-4) won, 10-4. **Lehigh Valley won 4-3 over Charlotte in a game that was suspended in the 4th inning on May 4 and then lost the regularly scheduled game, 3-2. Domonic Brown started in CF in the regular game which included homers by RF Derrick Mitchell (5) and C Erik Kratz (5). **Reading scored 6 in the 7th for an 8-6 win in Erie. CF Tyson Gillies, 2 triples, 2 RBI; LF Leandro Castro, 4-5, 3rd home run. **Clearwater was a 2-1 winner in Ft. Myers, thanks to a two-run homer by 1B Jim Murphy (5). He leads the organization with 34 RBI. **Lakewood lost a pair to Hagerstown, 2-0, and, 4-3, getting a total of 8 hits. Cole has turned into the stopper, big time. Seventeen days ago, he held the Nationals to one run and it came on a steal of home when Cole tossed to first base. Second time around against them, he did even better last night. 0 runs. 114 pitches were touched for four hits and three walks, the only base-runners for the losers. So, he has the major’s best streak going, seven straight wins after a first-start loss back on April 9. Since his rookie season in 2006, Cole is 21-4 in May, best mark in the majors. Elias Sports Bureau: Hamels is the fourth Phillies starting pitcher in the last 50 years to win seven or more consecutive decisions before the end of May. The others were Jim Lonborg in 1976 (8), Steve Carlton in 1981 (8) and Tommy Greene in 1993 (7). Papelbon lost the shutout by allowing a solo homer in the ninth. That’s OK. Rather a dinger with a four-run lead than a one-run lead. Delta charter was scheduled to arrive at 1:15 a.m., St. Louis time, on Thursday. Sleep fast boys, game time is 7:15 p.m. Thursday. **Reading lost to Erie for the second straight night, 4-2, this time. CF Tyson Gillies is 7-14 in the series that ends with an 11:05 a.m. game today. **Clearwater scored 3 in the top of the ninth for a 4-3 win at Ft. Myers. C Cameron Rupp had the game-winning RBI single. RHR Tyler Knigge, 2nd save, with 1 scoreless inning, stretching his scoreless streak to 16 innings. Clearwater has 20 singles and one home run in three games this week, losing two. **Lakewood won, 3-2, over Delmarva on a walk-off single by 3B Harold Martinez. **Pitcher: RHP Colin Kleven, Lakewood. 2-0, 0.75 ERA for 2 starts, 12 innings, 9 hits, 2 runs (1 earned), 4 walks, 11 strikeouts. In 4 starts this month, 2-1, 1.96 ERA. For the season, 3-3, 3.38 ERA, 8 starts. The 21-year-old was a 33rd round selection in 2009 out of R. E. Mountain High School in Kamloops, British Columbia, Canada, and signed by Tim Kissner. **Player: INF-OF Carlos Alonso, Clearwater. Led organization with a .545 average for 6 games, 12 hits, 5 runs scored and 10 RBI. He had multi-hits in each of his last 5 games. Raised his average from .299 to .360. Alonso has started at second base, shortstop, third base and left field. The 24-year-old was selected in the 32nd round of the 2010 draft out of the University of Delaware and signed by Paul Murphy. May 24, 1935: Phillies lose first night game in major league baseball history, 2-1, at Cincinnati’s Crosley Field. Game takes 1 hour, 35 minutes. Attendance for the historic game, 20,422. 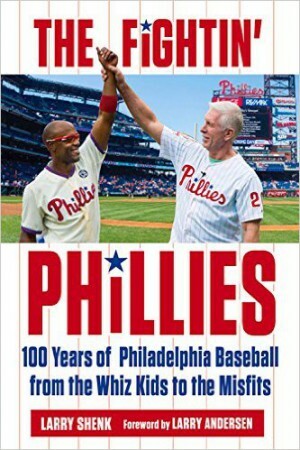 May 24, 1999: For the first time in team history, the Phillies have the same-name battery, RHP Joel Bennett and C Gary Bennett. Phillies win, 5-4, over Montreal. Don’t forget to check out www.phillies.com/alumni for news, notes and photos of the Alumni. Well, things aren’t going well. Then again, you already knew that. Doc’s 11-game winning streak against the Nationals ended last night. He’s 1-4 in his last seven starts. Cliff is winless. Now, if you had said that about Doc and Cliff before the season started, people would have thought you were off your rocker. Washington has won six in a row over the Phillies, something they’ve never done, even during their Montreal Expos days. Cole gets the nod tonight in a must-win game, if there is such a thing in May. Then, a Delta charter takes them to St. Louis for four with the first-place Cardinals. So, you’re never as good as you look when you are hot (six straight wins) and you’re never as bad as you look when you are going bad (four-game spin that has followed the six wins in a row). Did Yogi Berra say that? Don’t know but let’s give him credit. Starting pitching keeps the club in the game, the bullpen seems to be settling in but the offense is sputtering again. In the four-game spin, hitters are 5 for 38 with runners in scoring position. **Lehigh Valley blanked Louisville, 2-0, as RHP Dave Bush (4-3) tossed a nine-inning shutout. **Reading fell behind, 7-0, after two innings, rallied and then lost, 8-7, in Erie. RHP Trevor May was roughed up (seven runs in those first two innings). **Clearwater lost, 2-1, in Ft. Myers, getting eight singles. Threshers had six singles the day before in a 7-1 loss. **Lakewood had five singles in a 3-1 win over Delmarva. RHP Ramon Oviedo, in his first Lakewood start, was the winner, one run in six innings. May 23, 1991: RHP Tommy Greene pitches no-hitter at Montreal, 2-0, before 8,833. He walks seven and strikes out 10. Tommy writes about his no-hitter at www.phillies.com/alumni. Check it out. Remember when Citizens Bank Park opened? Critics proclaimed pitchers would not come to Philly because of the hitter-friendly ball yard. We’ll that proclamation has disappeared. Joe-B continued his success at the Phillies home last night, improving to 17-6 in 45 starts there. In last 19 starts there, he’s 8-0 and the Phillies are 15-4 in those games. Can he pitch again this afternoon? Great to see Polly get his 2,000th hit and great to see the fans’ reaction on a rainy night. Fan enthusiasm certainly wasn’t dampened and they cheered until he came out for a curtain call. Breaking down his 2,000 hits: Tigers 806, Phillies 732, Cardinals 462. I believe the last player to get his 2,000th hit in a Phillies uniform was Dale Murphy. He did it on May 29, 1991 at the Vet. Polly graduated from high school that year. Most of “Murph’s” hits came while wearing a Braves uniform. Most career hits for a Phillies player is 2,234 by that Michael Jack Schmidt, who never played for any other team. So, weather-permitting, the Astros wrap up a two-game series this afternoon. It is a historic game. How, you ask? Well, it is the last National League game the Astro will play in Philly. They’re switching to the American League next year. **Lehigh Valley split a pair at Louisville, winning the nightcap 4-3 after dropping the opener, 5-1. LHR Joe Savery picked up his second save. **Reading lost, 2-1, to Portland. 2B Cesar Hernandez, 3-4, 2 stolen bases. **Clearwater also lost by one run, 4-3, in 10 innings at Dunedin. RF Anthony Hewitt hit his 5th homer. **Lakewood was a 4-1 winner at Delmarva, which is located in Salisbury, MD. RHS Colin Kleven (2-3), 1 unearned run in 7 innings. May 15, 1989: One of the most exciting finishes in Vet history. After 11 scoreless innings, San Francisco scores two in the top of the 12th. With two out and two runners on base in the bottom of the 12th, RF Bob Dernier hits a three-run, game-winning, inside-the-park home run to left field, 3-2. Yep, read about it at www.phillies.com/alumni. Hadn’t been able to post since last Wednesday when my wife was hospitalized. She’s facing a sixth knee surgery in the last two years. No posts since last Wednesday resulted in seven comments, which is great. Some weren’t very pleasant but that’s OK. Dave, I’ve never been called a joke before but I do have a sense of humor and you made me laugh. Hope Jay Leno calls soon. Steve, all I know about the Vet roof is that the images you mentioned came from the architect’s rendering of the stadium. Trying to remember more specifics from 41 years ago isn’t easy. Heck, yesterday I couldn’t remember where I left my shoes. If you are angry at the Phillies, think of six knee surgeries or children in hospitals or cancer patients. There is more to life than getting upset at a sports team. Being a fan means sticking with your team through the highs and lows. There’s nothing like winning but it doesn’t last forever. We should have swept the Padres but didn’t. Every game seems to be some kind of struggle. All the players can do is show up every day and battle. This game isn’t easy and neither is life. This is a different team from a year ago. A lineup exactly a year ago included only J-Roll, Shane and Cole. Papelbon is 10-for-10 in saves. Yesterday was the sixth save in which he retired the side in order. The challenge lately has been getting to him. Phillies haven’t won three in a row yet. Last time they went this far into the season without a three-game win streak was 1992. So, now the Astros come to town for two, then to the Cubs’ Wrigley Field for two and back home for three with the Red Sox. Hey, how are Red Sox fans reacting these days? They had high expectations, too. **Lehigh Valley won two and was rained out Sunday in Louisville. RHP Scott Elarton (4-1) won his third straight on Friday, allowing one hit (4th inning single) in six innings. **Reading lost two of three in New Britain. SS Troy Hanzawa extended his hitting streak to 14 games (.396). 1B Darin Ruf ended the weekend leading the EL in hitting (.383), hits (49) and RBI (27). **Clearwater was idle on Sunday but won on Friday and Saturday nights. 3B Cody Asche extended his hitting streak to 13 games (.453). **Lakewood lost two of three to Greensboro. Don’t forget to check out www.phillies.com/alumni for features and photos involving Phillies Alumni. Welcome input on what you would like to read on this page. Hope to be able to post daily this week but it may be out of my control. Trust you will understand. In the last six Phillies wins, they’ve scored five or more runs. In the last 12 losses, four or fewer. Loss #12 came last night in another game where the offense couldn’t get a big hit. Single runs in the first two innings and that was it for the offense. Doc pitched well but walked one and that led to a two-run, game-tying inning. Papelbon came in a tie game, walked one and that led to three runs that gave the Mets a win. Jordany Valdespin, a shortstop who was sent to the minors by the Mets last Saturday after being hitless in his first six big league at-bats, was brouht back yesterday and hit a pinch-hit, game-winning home run with two out in the top of the ninth. That’s the way it is going for the Phillies right now. Meanwhile, the Phillies drew five walks and only one scored. They had a chance to regain the lead in the seventh and eighth innings but came up empty. That’s the way it is going for the Phillies right now. So, Joe-B gets the nod tonight. A game on May 8 may not seem like a big deal but a win is needed. **Lehigh Valley was blanked on three hits by Indianapolis, 4-0. LF Domonic Brown was 0-3 in his return to the lineup after missing three games because of a hamstring strain. **Clearwater improved to 5-2 this month with a 6-5 win over Port Charlotte. 2B Carlos Alonso, 2-3, 3 runs, 2 RBI. **Lakewood fell to 2-12 on the road, losing 5-0 at Savannah. 3B Maikel Franco’s two-out double in the fifth inning was the BlueClaws’ lone hit. Pitcher: LHR Jake Diekman, Lehigh Valley. Was 1-0 with 2 saves in 4 outings, 4.2 innings, 1 hit, 0 runs, 2 walks, 8 strikeouts. Struck out the side in getting a save on Tuesday (14 pitches, 10 strikes), the third time in 12 appearances he has fanned 3 in 1 inning. Picked up a win on Wednesday and his 6th save on Saturday, 2 innings, 2 strikeouts. For the season, 0.63 ERA, 22 strikeouts in 14.1 innings. The 25-year-old was a 30th round selection in 2007 out of Cloud County Community College and signed by Jerry Lafferty. Player: 2B Cesar Hernandez, Reading. Hit .387 in 7 games, 12 hits, 4 doubles, 2 triples, 6 RBI. Ended the week on a 6-game hitting streak. Had four multi-hit games. During the week, he raised his average from .293 to .321. The switch-hitter leads Reading with 16 RBI. Defensively, he has 3 errors. The 21-year-old Venezuelan was signed in 2006 by Sal Agostinelli and Jesus Mendez. For Alumni news, check out www.phillies.com/alumni. Play .500 ball on the road and win at home. It is a formula for winning baseball. For the second straight road trip, the Phillies pulled out a win in the final game to end a six-game trip at 3-3. Cole came through big time last night in DC, ending the Nationals’ seven-game winning streak against the Phillies. Hunter had his second two-home run game, helping put the game out of reach in the big ninth inning. Amtrak charter train brought the Phillies home after last night’s game. It starts tonight against the Mets, who were at Citizens Bank Park just 20 games ago. Every year, the schedule has a quirk or two. So, the Phillies will have played the Mets twice, both at home. That means they only come back here one more time, the end of August. NY took two of three last month at Citizens Bank Park, outscoring the Phillies 12-10. Neise, a lefty they face tonight, tossed 6.2 scoreless innings on April 14. Phillies have struggled big time against LH starters this year. Phillies have played the fewest home games (5-5) in the NL. 14 of their next 16 games are a home. Time to make hay. **Lehigh Valley won two and was involved in a 3-3 game suspended in the third inning on Friday. RHP Tyler Cloyd (2-0) was promoted from Reading to LV and won on Saturday. RHS Scott Elarton (3-1) was Sunday’s winner. Reading dropped two of three to Erie. 2B Cesar Hernandez, 7-15, four RBI; leads club with 16 RBI. RHP J. C. Ramirez picked up a save on Friday, his first in 141 pro games. Clearwater took two of three from Port Charlotte. RHP Brody Colvin (2-2) and LHP Jesse Biddle (1-2) were the winners. Lakewood lost two of three on the road; Sunday’s win ended a five-game losing streak. Williamsport and Gulf Coast League Phillies begin their seasons in June.